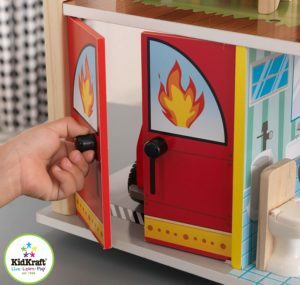 Kidkraft Fire Station Set is now available at Amazon.com for just $79.95 (REG $129.99) (As of 13 February 2019, 19:06 PST – Details) with $50.04 (38%) Savings. 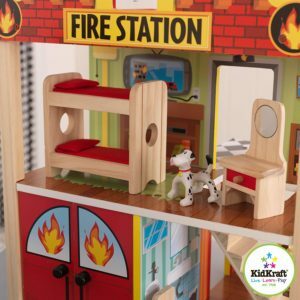 The wooden KidKraft Fire Station Set offers 360 degrees of imaginative play. 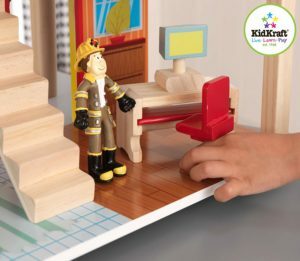 This playset includes 15 accessory pieces; Bendable figures. Sturdy wood construction; Materials: wood, MDF, fabric, rubber. A helicopter awaits on the roof and the set even includes a cute, bendy Dalmatian. Two fun vehicles: a helicopter and a fire truck; Garage doors open and close. Colorful walls decorated with a close attention to detail; Brilliantly illustrated panels. 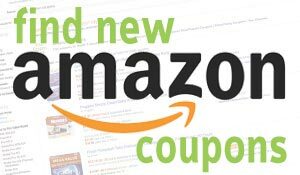 Includes detailed step-by-step assembly instructions; Age Range: 3 years & above. 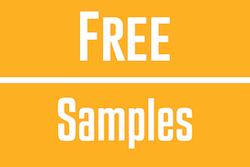 Dimensions: 16L x 16W x 19.4 / 20H in Inch (without / with turntable); Weight: 20 lbs. 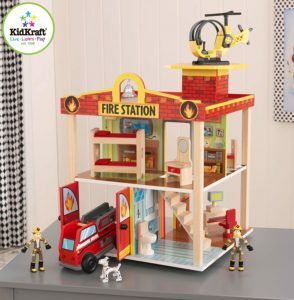 The wooden KidKraft Fire Station Set offers 360 degrees of imaginative play. 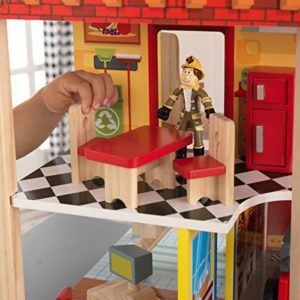 Constructed without walls, kids can access the firehouse from any angle. 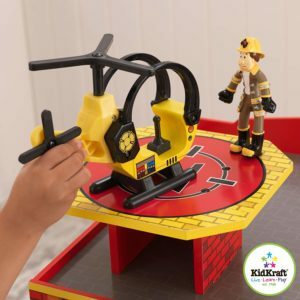 A floor-to-ceiling fire pole lets the bendy firemen race down to their wooden fire truck and save the day in a hurry. 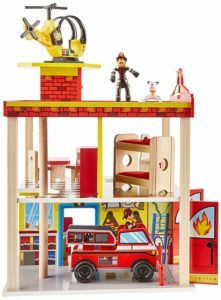 This playset includes 15 accessory pieces. A helicopter awaits on the roof and the set even includes a cute, bendy Dalmatian. Sturdy wood construction will ensure years of daring rescues. 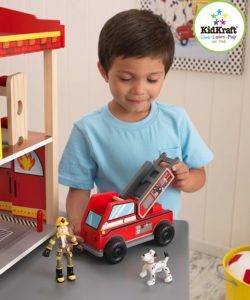 Kids will love pretending they are real-life heroes when they play with this adorable wooden Fire Station.